Active Lookers who are routinely browsing job boards that have jobs that interest them. Whether you are screening active lookers or attracting passive candidates, the following keys to success map your route to finding qualified applicants. For many jobs, a well crafted Company Overview Profile will attract and engage a pool of applicants that will yield Good Fit hires. 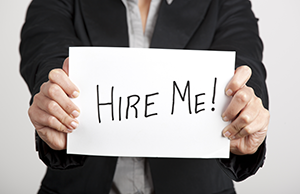 HIRinc consultants help you identify the best Job Boards for your hiring needs. Targeted boards that work for you will be characterized by your industry sector, your specific position and where you are located geographically. As your recruitment branding develops, you can use social media mechanisms to raise awareness across a vast community of contacts who are associated with your employees and who have shown an interest in you as a company. Be visible as a potential employer everywhere you go as a company – trade shows, conferences, trade journals, and always give prospects who will meet you there a way to pursue job opportunities with you. Whether you currently have an opening or not.